4Easysoft iPod Manager for Mac 3.3.38 無料ダウンロード - Import video/audio/DVD files to iPod and transfer iPod video/audio to Mac. 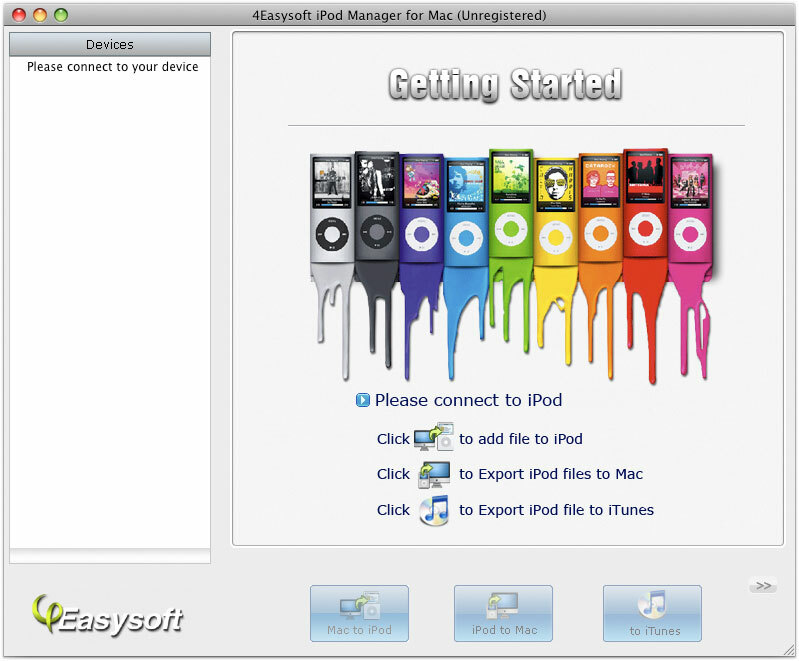 4Easysoft iPod Manager for Mac is the special-designed Mac iPod Manager to manage iPod files. It is actually both the Mac to iPod Manager and iPod to Mac Manager, even DVD/video to iPod Converter, iPod to iTunes Transfer, iPhone Ringtone Maker. For it can import video/audio/DVD files (no matter they are compatible with iPod or not) to iPod directly without iTunes and transfer iPod video/audio to Mac without any loss. As a comprehensive iPod management tool, it supports all iPod/iPhone devices, even iPad, especially for iPod Firmware 3.0/3.1, iPod touch 4, iPhone 4G and iOS 4.2. More additional functions are also available for you to manage iPod files well.